We’ve taken our innovation to new heights with this complete waterproofing Membrane Coating System that can improve and extend the life of an existing membrae. As TPO and other membranes become weathered, rooftops can crack, leak, and pick up dirt, diminishing their effectiveness and energy-saving properties around. 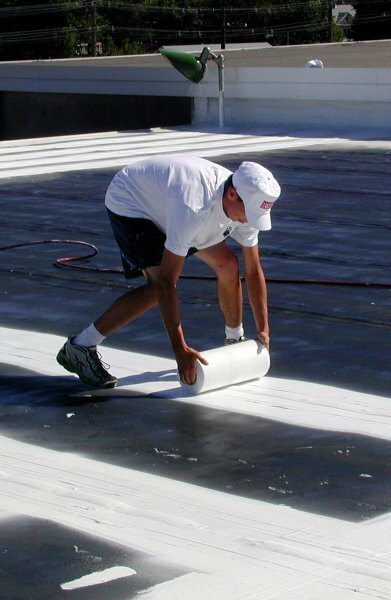 Conklin’s elastomeric coatings provide a new, cost-effective solution for repairing and preserving approved single-ply membranes, resulting in improved energy savings.